We have all heard the saying, ‘Get paid to do what you love!’ There may be no better way to do that than to turn your favorite hobby that you do in your spare time for joy or relaxation into a career that makes you money. It is scary to begin a new business venture, especially when we attempt to use our hobby to earn an income. Fear of failure sets in. Using your hobby to create a business may not be easy, but, is not rocket science nor impossible. With a combination of skills, passion, planning, commitment and an investment of your time, you will have your hobby turned into a business is no time. Know what you wish to achieve? Do you want your hobby to become a full-time business or do you just want to earn extra income from it while you keep your day job? The more financially dependent you want to be on it, the harder you will need to work. Brainstorm. What are all the ways you can earn money from your hobby? Imagine, you are an artist. You could create and sell paintings, but you could also teach art classes to adults or children or open an art gallery. Ask yourself: Do I love my hobby enough to do it full time? 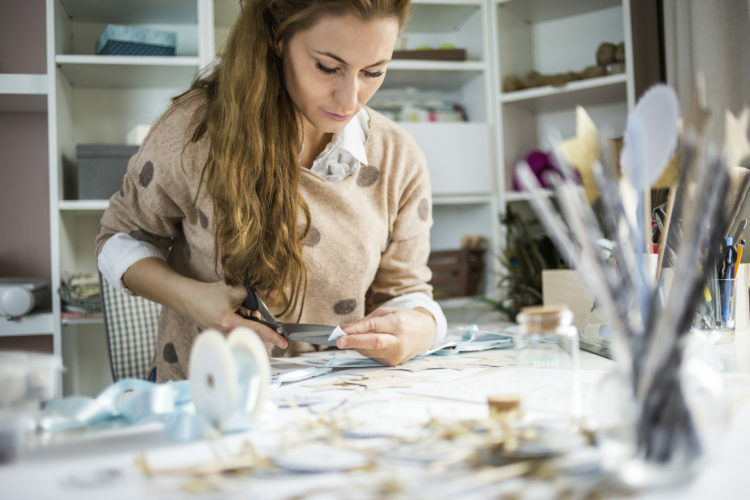 Creating a business out your hobby may be a dream come true, but be sure of deadlines, managing finances, and demanding customers won’t take away your love for what was once your adored hobby. Your hobby will no longer be something you do in your spare time or for leisure, and you will need to show up for it every day. Ensure you can earn enough money from your hobby before you leave your full-time job. Just because you love to make candles on the side, does not guarantee you will make an income from making them. Write a business plan. You can plan how you will market your business and calculate how much money you will need for start-up costs. Your business plan will be fluid, so expect to be changing and adding to it along the way. Marketing is key. Research small business marketing and how to best promote yourself. Create a website and market your business on social media. Decide on a brand to help customers recognize and remember you. A business name and logo that reflects your personality and that of the hobby turned business are essential to your business’ identity. Organize your finances. Separate your business’ revenue from your finances. Know the ins and outs of reporting business income, expenses, tax returns, and collecting sales tax. Hire an accountant. This is a great start that can help you ensure you have a financially sound beginning. It is always a great idea to hire an accountant to outsource your bookkeeping. They can help with paperwork and record keeping that even the best accounting software programs can not deliver. Outsource your bookkeeping. If you lack organization, get behind on paying bills, are never up to date with bookkeeping records, or do not have time to grow your business, outsourcing your bookkeeping can give you time to partake in more productive activities that will lead to prosperous growth. Find a customer who will try your product or service. Use them to practice on. In exchange for the complimentary service, ask them to leave a glowing review for you. As a professional consulting firm, our staff can help you attain your business goals when you are turning your hobby into a business. Z© Copyright 2018. All Rights Reserved.